Obliquely opposite St Magnus Cathedral in Kirkwall is Tankerness House, Orkney's finest town house. 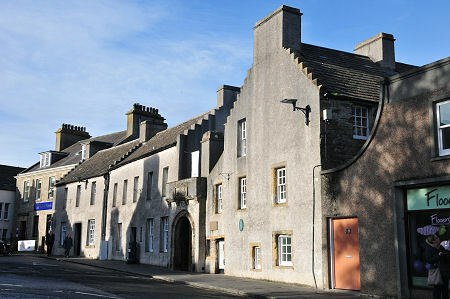 Today it is home to the Orkney Museum. Admission is free, though donations are most welcome. Contact information and opening hours are linked from this page. Tankerness House is an extensive, mostly two storey, house which sprawls around a rectangular courtyard. Behind it is a large and beautifully kept walled garden that is well worth visiting for its own sake. The house evolved over a three hundred year period. 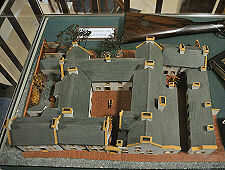 The first part to be completed was the north range, on the right of the header image, and the gateway from the street. These were built in 1574 for Gilbert Fulzie, Minister of Kirkwall and Archdeacon of St Magnus Cathedral. James Baikie built the west range of the house in the 1640s: and further renovation and redevelopment occurred in 1722 and 1820. The family continued to own the house until 1951 when it passed to Kirkwall Burgh Council (and more recently to Orkney Islands Council). In 1968 the council oversaw Tankerness House's extensive restoration and its conversion to the Orkney Museum. Orkney Museum is far larger than it looks from the street and it contains a huge wealth and diversity of material about Orkney's past and present. A visit is an essential part of any stay in Orkney: there are few better ways of really getting to grips with the fascination of the archipelago. It's tempting to save your visit for one of those rainy days that inevitably happen along from time to time: just remember at busy periods that half the other visitors to Kirkwall are likely to do the same thing (with the rest visiting St Magnus Cathedral). 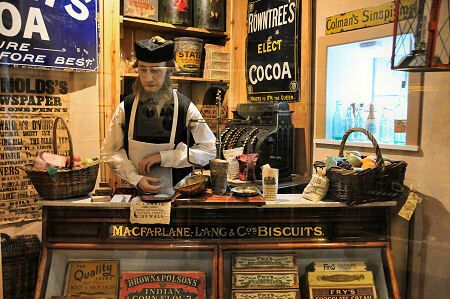 The museum's contents reflect Orkney's incredible heritage and history. Relics stretch back 5,000 years or more to finds from the earliest house in Europe (at Knap of Howar on Papa Westray) and the many other neolithic and more recent archaeological sites unearthed around Orkney. If our ancient ancestors are well represented in the museum, so are their successors: the iron age builders of Orkney's numerous brochs; the Picts; and the Vikings. 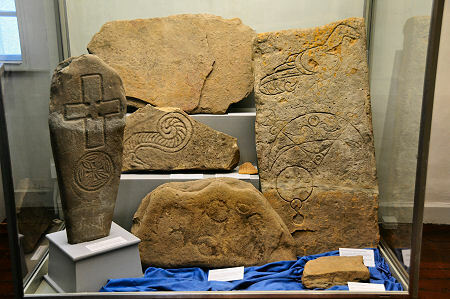 Exhibits relating to the first two groups range from iron age pottery to beautiful pictish cross slabs. 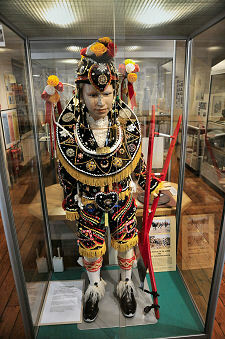 But perhaps the most distinctive exhibits on show date back to the Viking era. 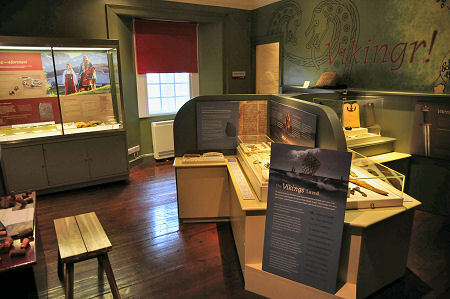 Orkney was the centre of a seaborn Norse empire stretching from Scandinavia to the Isle of Man and eastern Ireland; and from Iceland to Yorkshire. 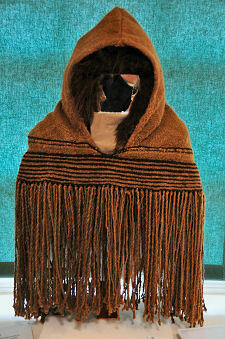 And the finds on view reflect this heritage. Of particular note are a collection of grave goods excavated from a Viking boat burial at Scar on Sanday. 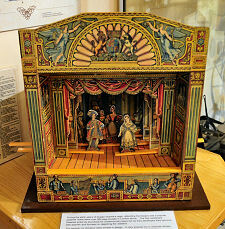 These include a wonderful whalebone plaque used for smoothing linen, combs and a collection of gaming pieces.